Mieczyslaw "Stiles" Stilinski is the son of Sheriff Noah Stilinski of Beacon County, whom he is closest to after his mother Claudia's death, and the best friend of Scott McCall. In Season 1, Stiles finds out Scott has been changed into a werewolf. In Season 1 and Season 2, Stiles does his best to support Scott in coming to grips with his new identity, navigate their new supernatural world and keep the people they care for safe and fight back against a slew of enemies. He harbors an intense, unrequited crush on Lydia Martin. By Season 3, Stiles has let go of his infatuation with Lydia and they instead develop a close friendship. He undergoes a Druid sacrifice to take his father's place as a Guardian which reawakens the Nemeton. As a consequence of the sacrifice, Stiles is possessed by a Nogitsune. He has himself institutionalized at Eichen House to protect everyone around him and he starts a romantic relationship with Malia Tate. With the Pack's help, Stiles is finally exorcised of Void Stiles. 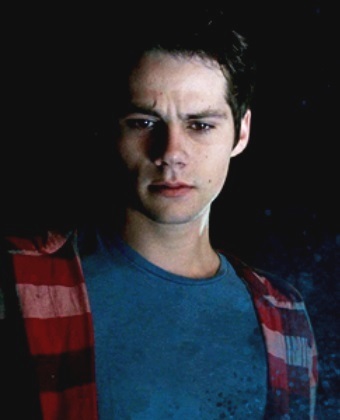 In Season 4, Stiles struggles with the darkness inside him as a result of the Nogitsune's possession. He and Lydia investigate who's behind the Deadpool. In Season 5, Stiles is attacked by the Chimera Donovan Donati and in fear for his life, causes his death by accident which damages his psyche. He is then manipulated by Theo Raeken who uses this to in turn manipulate Scott and his non-lethal policy to take over Scott's pack and this leads to Scott casting Stiles out of the pack and Stiles ending his romance with Malia. Upon saving his father's life after Theo's treachery and with the pack's support, Stiles regains his confidence, overcomes his trauma, repairs his brotherly bond with Scott and helps pull their shattered pack back together. Stiles works with the pack to save his friends Lydia and Malia's lives from both Gabriel Valack and the Desert Wolf, and put a stop to the revived la Bête du Gevaudan. In Season 6, Stiles realizes he is about to be taken by the Wild Hunt and tries to say his goodbyes to the people he loves before he is erased from reality. He is taken to the phantom realm where he finds Peter Hale who had been taken months before (although originally he was meant to find Derek). Stiles manages to communicate to the real world through his jeep's radio. Peter risks his life to bring an artifact of Stiles' back to the real world to help people remember him. With the help of Lydia, his friends and family do eventually remember him and work to restore him to reality. Stiles, along with the rest of Beacon Hills' community is saved when the Hunt is diverted by Scott's Pack, he and Lydia begin a romantic relationship, and he enrolls in a pre-FBI program at George Washington University. Stiles learns that Derek Hale is on the run, wanted for murder and seeks him out. It is implied that Stiles and Lydia are still together at the end of the series, but during a Q&A stream Holland Roden said that it was left vague enough to be open to interpretation for people who are not Stydia fans. "What did you find?! How did you find it?! Where did you find it?! And yes, I've had a lot of Adderall." Stiles is constantly described as overly anxious and curious, particularly towards criminology and mysteries. He is extremely hyperactive, outspoken and immensely intelligent, has a quick mind for puzzles and research, but is prone to distraction and flailing due in part to his ADHD. He has an extreme penchant for sarcastic quips. Despite his scatterbrained shenanigans, he is well-meaning and very protective of those he cares for, particularly his best friend Scott and his father. "I'm 147 pounds of pale skin and fragile bone, okay? Sarcasm is my only defense." Over the series, Stiles comes to demonstrate he is an extremely headstrong, stout-hearted individual with an undying loyalty and camaraderie to those close to him. He will go out out of his way to help said people even it causes him trouble or the situation poves to be life-threatening. His eagerly caring nature can be seen in his helping Scott come to terms with being a new werewolf, keeping him grounded, as well as fixing problems and solving cases alongside his dad and preparing plans for he and his circle of supernatural friends in their mission to do good and protect their town. He is willing to give up his life for those he loves, even having once had a gun held at his forehead by an assassin, refusing to give up his friends' location.
" ... him looking at me like that. He's trying to kill me." Underneath his near constant sarcasm, Stiles is haunted with grief and guilt over his mother's death due to being with her when she passed away and harbors a deep rooted fear that his father blames him for it. Ever since becoming further apart of the supernatural world, Stiles' generalized anxiety and internal strife has only become worse in dealing with the fear he could lose someone else dear to him. Furthermore, he felt severe horror and further guilt over the actions he was completely aware of while under the Nogitsune's possession of him, including the bloodbath that occurred, twisting an Oni's sword in Scott, his best friend's gut in particular, and he felt responsible for the death of his good friend Allison Argent. As he grows and matures into a young man, Stiles eventually grows past his intense crush for Lydia, resolving it into becoming a close friendship, as well as moving past his experience as 'Void Stiles'. 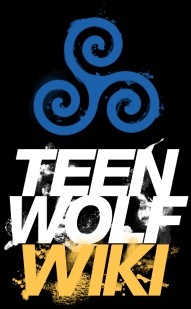 Similar to his experience with Scott, Stiles naturally takes on the role of human anchor for Malia and Liam, as well as the source of knowledge for his supernatural friends. Despite everything that Stiles has been through, and though he was once offered the Bite from Peter and no matter how tempted he was to have supernatural abilities, he ultimately declined. Due to his knowledge of the law, being the son of a police officer, as well as his aptitude for analysis, deduction, solving mysteries and his natural intelligence being his greatest asset, Stiles takes satisfaction in following the clues and gathering evidence that leads him to identifying enemies and solving problems facing the pack. Due to his fear of losing people close to him after his mom's death, Stiles is slow to trust people, being highly suspicious to the point he can be paranoid. He also tends to be more cynical and pragmatic in contrast to Scott's more passionate and idealistic views. Even so, Stiles' instincts have proven to be remarkably accurate. This is shown especially when Stiles persistently investigates Theo Raeken, instinctively convinced the charming newcomer wasn't as forthcoming as he presented himself to be, protesting that Scott is too trusting, and his suspicions were proven to be correct later on. When Donovan Donati accidentally dies as Stiles tries to escape him, he becomes ever more emotionally fragile over the concept of having killed someone. He also expresses his fear that Scott would reject him for his taking a life. With the advice and support of his father, Stiles resolves his internal conflict and forgives himself for Donovan's death. "You saved their lives. ... That's gotta feel pretty good. ... But it's something you want to feel again." "Stiles" Stilinski was born to Noah Stilinski and his wife, Claudia Stilinski. His first name was his maternal grandfather's name. In grade school at least, Stiles became best friends with Scott McCall. They came to consider each other brothers+. He and Scott got into a history of mischievousness, of which Stiles is the instigator. Stiles once had a boa as a pet+. When Stiles was in grade school, seven years approx before the start of the series, his mother Claudia came down with frontotemporal dementia+. One time, when Stiles was 10, Claudia suffered from an onset of her illness. In her dementia, she became convinced that Stiles was trying to kill her, resulting in her attacking him at one point+. The experience had a deep emotional effect on Stiles. Eventually Claudia succumbed to her illness. Stiles had been with her when she passed away+. Her death greatly affected Stiles. He developed anxiety problems and panic attacks afterwards+. In the beginning of the series, Stiles is a sophomore at Beacon Hills High School. He is a bench warmer for the Cyclones lacrosse team. Stiles has ADHD, and takes Adderall for it. Stiles harbours a deep love for Lydia Martin, having been crushing on her since the third grade+. Stiles has his driving license and drives a jeep which he is very attached to+. So far, Stiles's real first name is a secret. It is supposedly difficult to say because it's Polish. The only clues we have so far are what was written on his file during the parent teacher conference, -ienim, and the letter M on his ID card. Biology, with Scott. Sits behind Lydia. Chemistry, with Scott and Jackson.